Violence is the extreme end of aggression. Remember that not all kids who are aggressive become violent. When children and teens use violence to get what they want—whether it’s punching a sibling in the stomach or punching a hole in the wall—it usually involves a scenario where they’re being told “no” to something they want to do, or they’re being told they have to do something they don’t want to do. What actually happens is that the child gets frustrated and angry and hasn’t learned any other way to deal with these feelings than to strike out—often at the adults involved. One way of looking at this issue is that your child’s frustration, disappointment and anger are problems that he solves by being violent. One way of looking at this is that your child’s frustration, disappointment and anger are problems that he solves by being violent. Another way of looking at this is that the kid’s use of aggression and violence has worked successfully so far. It’s become his primary problem-solving technique and a means for gaining power in the home. When he hears the word “no” and feels frustrated and powerless, he hits someone or something and the adults in the situation back off, give in and don’t require him to comply. Striking out gives him back a sense of power. If kids are gaining power by being violent, the first thing that you have to do is take away the power by not tolerating the violence. Now, there are different levels of violence in people’s houses. And there’s different power that kids get from it. I can’t answer every level of violence in one article, but it should be understood that if it gains power in a family, that family is in a lot of trouble and may need outside help. Violence is a seductive shortcut to power. And once it works, it’s hard to get kids to accept alternative ways of getting power. Many times, parents need a comprehensive behavioral program to manage this problem. Accept no excuse for abuse. Write this on a piece of paper and put it on the refrigerator. Let “There’s no excuse for abuse” become the motto of your household. Hold your child responsible for his or her violent behavior no matter what the justification. Remember, being verbally provoked does not justify a violent response. Make sure there are consequences attached to those limits that you set. And make sure those consequences are set up as learning experiences. Not all kids listen to violent rap or metal music and then come down and be nice at dinner. Monitoring and excluding violent media, including TV, videos, music and computer, gives the whole family the theme that violence is not going to be glamorized in your home. As a parent, you need to be a role model. If you and your spouse are hurting one another or hurting your children to get your way, don’t be surprised if your kids mimic that. Kids watch parents for a living—it’s their job, it’s what they do. If parents model shortcuts and poor problem-solving, it’s natural that the kids are going to follow suit. Let me be very clear: if one parent is behaving violently, it’s the other parent’s job to protect that child. I’ll say it again—accept no excuse for abuse. This is my nice way of saying if you’re locked in a relationship where your partner is being violent with your children, it’s your job to protect your children no matter what the cost to that relationship. There are cases where parents will cross the line into violence when they’re frustrated and angry because the techniques they’re trying with their kids are not working. Sadly, that’s no excuse. Children who are treated violently often grow up to be violent adults. If parents find themselves crossing the line, that’s a sure sign they need outside help. My advice to them is to seek it as soon as possible. Also, parents should understand that if they become violent because their child is unmanageable or out of control, it is still against the law. If there’s a child welfare investigation or they go into court, the parents are going to be blamed for all the kid’s problems whether their violence originally caused the issues or not. If you have a younger child who is displaying violent or destructive behavior, think of it as a warning sign. First of all, be very aware of violence in younger children, because kids who are five, six and seven who use violence to get their way have an extraordinarily high rate of being violent as teens and young adults. Violent behavior at this age would include hitting other kids, biting, and kicking on a consistent basis to get what they want. It’s very important to hold young children accountable and to teach them social problem-solving skills they can use to replace violence. With younger children, a system of consequences and rewards that you use consistently can be very helpful in curbing violence. Many kids are under-socialized and need extra patience and teaching to learn these skills. Many parents know the line between normal roughhousing and physical aggression as well as they know the line between teasing and verbal abuse, and for those parents it’s very simple: listen to your gut reaction. Don’t forget, we’re not trying to figure out where your child thinks the line is, our job is to teach them where the adults think the line is. Kids are excessive and need adults to set limits on both the intensity and frequency of physical roughhousing or verbal teasing. So for those parents, the answer is really simple: If it doesn’t feel right to you, don’t let them do it. A lot of today’s entertainment seems to raise the level of tolerance for violence and abuse in our society, but I don’t think this is a good idea and I don’t think parents should be very tolerant of physical aggression or verbal abuse masquerading as play in their home. By the way, the issue of verbal abuse and threats is also very real, and I intend to address that in an upcoming article. For parents who are uncertain about the threshold between roughhousing and violence, here are some guidelines: If one child wants it to stop, and the other child doesn’t stop, that has crossed the line. It’s not playing if both parties don’t have control over how far it goes. If someone gets hurt it has to stop, even if both parties want it to continue. If the physical roughhousing is in retaliation for something, it should be stopped. If the physical roughhousing is designed to dominate a younger, smaller child, it should be stopped. If the roughhousing is done at the wrong time or in the wrong place, it should be stopped. If parents sense that it crosses the line between playfulness and meanness they need to step in right away. Don’t forget, we’re not judging kids by their motives, we’re judging them by their actions. So if one kid says, “I didn’t mean to hurt my brother or sister,” that’s irrelevant to us as parents. You need to say, “You did hurt your brother, and it has to stop.” Hold them accountable and give them consequences for these behaviors. It also happens that kids with learning disabilities and neurological problems don’t develop the problem-solving skills they need and may also become violent. Remember this: if someone has a disorder such as ADD, ADHD or ODD and manifests trouble dealing with educational material such as math and English, the same learning disability affects their ability to take in non-educational information such as how to accept limits read social situations and solve social problems. Parents should understand that when kids are diagnosed with a learning disability, that same learning disability affects that kid globally, not only academically. What that means is that kids who can’t learn academics because of a learning disability will have trouble dealing with more complex topics like social problem-solving, getting along with others and reading social situations. Keep this important fact in mind: Often, when an adult and a child look at a social scenario, they don’t see the same picture. Children with a learning disability or with behavioral disorders react differently to a situation than adults do, because they perceive and experience that situation very differently. When your child is behaving violently at school, it’s very important to work with the school to find out as much about the situation with your child as you can. This will help you decide how to respond to the behavior at home. 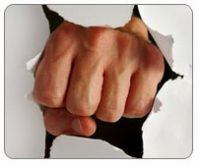 Is there something that triggers your child’s violent or destructive behavior that you can help him learn how to manage? Next, set limits. If your child is violent or destructive in school, there have to be consequences at home. A lot of school misbehavior can be dealt with by just letting the school give consequences, but if violence or destruction is involved, parents have to also hold the child accountable at home. Teach problem-solving skills and connect using those skills with access to privileges. What this means is that the things your child enjoys, like television, video, computer, or cell phone, should all be connected to his or her violent or destructive behavior that day in school. Unfortunately, many kids who are violent in school are also violent at home. So parents may have a double-edged sword that they have to face. If this is the case, parents will need external help in the form of parental training or family therapy to get the support they need. My experience is that the police are most helpful when dealing with pre-teens and teens. Parents may also need to call the police for younger children because the situation has become physically unmanageable. Know that with much younger children, calling the police will not have the impact that it has on older children. The police should be called when parents do not feel they can manage the violence or property destruction that is occurring in the home. I personally would not hesitate to call the police when the crimes of property destruction and violence are committed in my home. I think that services outside the home, such as the police or therapy or social services, will be needed when kids reach the stage of violence. Parents hear horror stories about kids involved with the juvenile justice system and are often afraid to contact them. I’ve found that the wheels of justice turn really slowly. Getting the police involved and pressing charges for violent or destructive behavior is a slow process before the child gets to court. In that time, if that child wants to demonstrate change, he’ll have plenty of opportunity. My experience is the courts do not want to remove kids from their homes. The government simply does not want to pay for the care and treatment of children who can be managed in their homes, and they will look for any viable alternative. Sometimes this can mean that services which the family cannot afford are provided through the courts or social services. A colleague of mine encourages parents to call police when things are calm to get an idea of what the authorities will do if they’re called into a violent situation. I think this is a good idea. Also, parents must understand two things: first, violence and destructive behavior is a blatant sign that the child cannot solve the problem appropriately, and is not responding to parental authority. At this point, a more powerful authority may be needed to maintain appropriate behavioral limits. Secondly, violent and destructive behavior becomes criminalized and gets teens and adults into severe legal trouble. The earlier a successful intervention is made, whether using outside authorities, treatment or education, the more it enhances the chance that the child will change and save himself and others a lot of grief. Of course there is hope. But hope is a tricky word. I believe hope without an observable change in behavior or action is misguided. Parents can hope for change in all kids, but if change doesn’t happen in the home, my experience is that that hope is fruitless. If you have a child or a teen who is using violence to get their way, you need help to learn how to do something about it. There are behavioral management programs which are available to parents, as well as cognitive behaviorally-oriented therapists who can work with families. 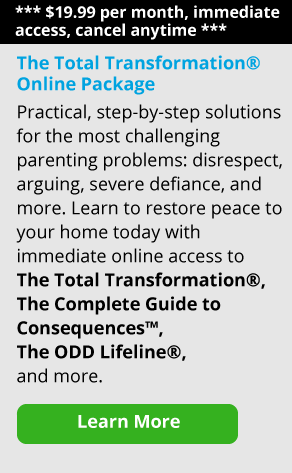 I developed the Total Transformation Program to deal with these parenting issues, so I’m biased, but whether it’s from my program or some other outlet, it’s not hopeless if the parents get help. Without outside help or intervention, my experience is that excessive hope is unfounded.